Dr. Billups obtained his M.S. Degree in Applied Psychology from Virginia Commonwealth University with an emphasis on educational and clinical assessment, intervention, and consultative services. During subsequent years, he worked in a variety of educational and clinical settings in which academic coaching, psychotherapy, and assessment were emphasized as were consultative services and teaching. He recognizes that mental health scaffolding is often unnecessary in providing services for students who are under-functioning in the classroom, and academic coaching may provide a more cost-effective activity for helping students get back on a trajectory toward success. 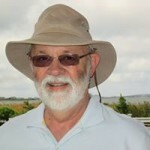 Details concerning his clinical psychology practice can be found at www.oysterpointpsychological.com.